The experienced lighting experts you find on ImRenovating.com can assist you in all of your lighting projects. We have top listings for lighting and fixture stores in the Waterloo area. These businesses offer beautiful lighting upgrades for your entire home or business including ceiling fans, and ventilation accessories. When it comes to your home or office, we know you want the best brands at reasonable prices. Our lighting specialists offer modern and trendy products, as well as classic and antique offerings at competitive prices. Whether your goal is to find the perfect lamp for a particular room, create a welcoming atmosphere for entertaining guests, or install lighting for an entire home, our Waterloo area lighting specialists have exactly what you need. 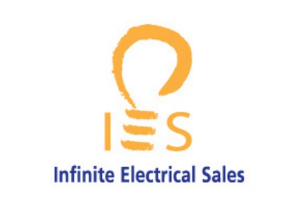 The Lighting Stores you find on ImRenovating.com provide top quality lighting solutions for energy efficient and halogen bulbs, lamps, chandeliers, desk lamps, recessed lighting, reading lights, utility lighting as well as architectural lighting solutions. Our Waterloo area experts provide personalized solutions designed specifically for your home or office space. When it comes to your business, lighting placement and selection are as important as your walls and windows. All lighting fixtures need to be planned and considered as one of the major structures in your commercial space. On the other hand, lighting for your home is an investment for life. The time to think about lighting is at the planning stage of your project, whether for a single room or your entire house, it’s best to consult with an expert at the onset of a project. Whether you prefer an antique or contemporary look, Our Waterloo area lighting experts carry a huge selection of quality merchandise so you can find exactly what you need. From kitchen and bathroom lighting to specialty commercial lighting, you won’t have trouble finding exactly what you need. If you are looking for something simple like a lamp for a desk or table, we know our top lighting stores will have something that matches your décor. If you can’t find the perfect lighting solution for your project, our lighting experts can often order custom specifically created lighting fixtures for your desk, table or floor. As for lampshades, contact our lighting specialists to find a variety of colors fabrics and styles for any new or pre-existing lamp or lighting fixture. Installing new light fixtures into your home not only increases the look and feel of a room, it has the added benefit of increasing the value of your entire house. Lighting projects like installing a chandelier or bathroom light fixture are an excellent idea to consider before putting your house on the market. If your home is using standard incandescent or halogen bulbs, contact our lighting experts to find a more energy efficient type like LED or compact fluorescent lights. Small changes like these make a big difference on your electricity bill when applied throughout your entire home. For something as small as a light bulb, or as complex as changing your house’s entire light fixtures, contact our listed Lighting Retailers for all of your residential or commercial lighting needs. They have superior light fixtures for your home or office, including pendants and lights for the wall or ceiling. Our Waterloo area lighting experts have a huge selection of home or business lighting options and offer quality craftsmanship in a wide range of styles that are sure to fit any taste or interior. 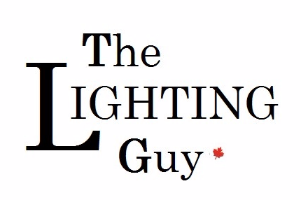 Contact one of our lighting professionals in the Waterloo area for all of your lighting needs. 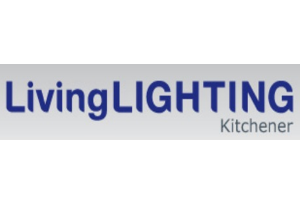 For all To Quality Residential and Commercial Lighting Stores in The Waterloo Area, look no further than the Lighting Stores section of ImRenovating.com, The Waterloo Area's Ultimate Trade Guide! 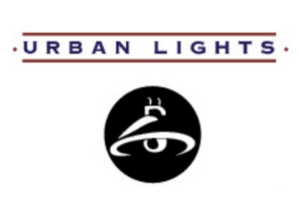 View Lighting Stores Photos From: Urban Lights Inc.
View Lighting Stores Photos From: Infinite Lighting Inc.